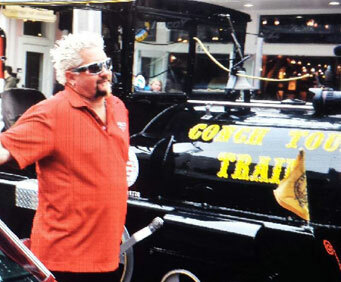 Climb aboard our conch train and discover the city in a very unique way, your trip to Key West Florida is not complete without this tour. Key West Florida is a place with a lot of tourism because is just a place with plenty of history and is such great place to spend family time together, the Conch Train was created to bring the best experience to the people who want to explore the city in a fun way. This tour takes about 90 minutes to complete and is appropriate for all ages. Conch Train Tour makes several stops like The Lighthouse, Hemingway Museum, Truval Village and so much more for this activity paper or electronic ticket must be presented is handicap accessible, you can bring your camera or videocamera, this is definitely a great activity to get to know Key West Florida. Some interesting facts about this tour are that it was created since 1958 and since it was invented everything changes in this island. If visiting Key West Florida do not hesitate and take this amazing tour it has been rated as one of the top attractions in this city and you can easily get captivated by the beautiful scenery. 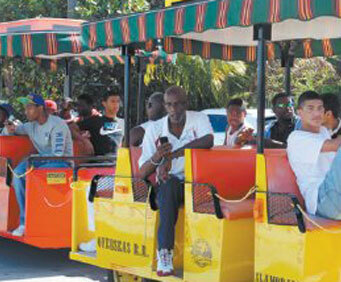 The Conch Train can easily carry more than 50 passengers at the same time and our friendly staff gives a fully narrated tour of the most famous spots. 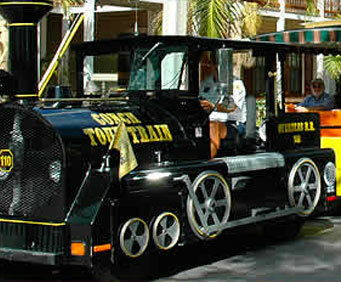 Experience the best of Key West on the famous Conch Tour Train! One of Florida's most popular attractions, the Conch Tour Train has been entertaining visitors to the 'Island City' for decades. Learn about the history of the train, a tribute to Henry Flagler's engineering miracle when he brought the railroad to Key West in 1912, and explore this charming tropical paradise on a leisurely train ride around the island! Ride Key West's Conch Tour Train, a proud tribute to Henry Flagler's engineering miracle in the early 1900s when he brought the first railroad to the Florida island! Travel back through time as you explore the lush, tropical island. Learn about the 'Conch' - the first settlers and long-time residents of Key West - and hear about important historical figures who became captivated by the island, such as John James Audubon, Ernest Hemingway and Harry S Truman. From bold Spanish explorers to the great cigar barons, you'll be transported back to the exciting railroad days of the early 1900s - there's so much to see and learn on the Conch Tour Train!